Early morning. The university campus parking garage I drive into is mostly empty. Offices don’t open for an hour. 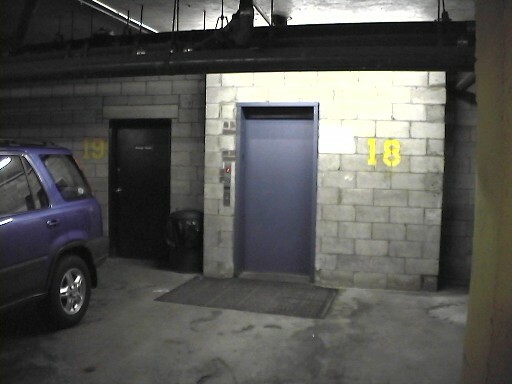 I get out of my car, parked close to the elevator. I push the button as I reflect on the day ahead. I wait for the doors to open. I hear something and turn to see a man. I have heard no car arrive. I don’t know where he has suddenly come from on this third floor level. No student backpack. No briefcase or roller bag. He carries nothing. I don’t recognize staff or faculty I have met in my 15-year work experience here. No visitor events start this early. Blue jacket; right hand in pocket. He appears to be a Latino identity. I am white. I look directly at him (as fear builds) and say, “hello.” He acknowledges but does not smile back. The elevator doors begin to open. The moment of decision has arrived. His hand is still in his pocket. I wonder if there is a gun in there. Campus safety reports about assaults in the area have increased. Do I get in an elevator with a man I’m not sure about? Is this only my racist conditioning about people who are not white? Would I do the same if he was white? His jacket is high quality; my learned social class framing says that probably means he’s okay. But, no one is around if I should need help. I am a woman. I always am on guard around men when I am alone. I’m carrying a vase of roses for an event. I am scared. I spread my keys out in my hand; a self defense move I’ve been taught. There is no time to reach for the pepper spray in my purse. Earlier that morning I was recalling the time I was carjacked at gunpoint. The fears come flooding in; the ptsd is triggered. Warring with my desire to not act out of misplaced fears because of the color of someone’s skin. Five seconds for the doors to open as all of these thoughts rush through my head. He begins to walk in. “Darn!” I say as I back away and walk around to the back of my hatchback car – putting space and the bulk of the vehicle between us. Loudly enough for him to hear, I say, “I forgot something” and with shaky hands insert my key into the latch as I live into my lie. The elevator closes and he is gone. I go to the drivers’ side and quickly get in. I drive to the other end of the parking lot – near the exit doors. I call my husband. I am still shaky. I am still in despair. Have I once again caused cumulative impact by demonstrating fear around a man of color that is unwarranted? Is his elevator ride full of anger and frustration of the daily experiences of racism? I am angry and frustrated that as a woman, I have to always wonder if I am safe around men. No matter what the color of their skin. Yet, I know I am more on guard with men of color because I have bombarded with false storytelling all my life that says they are to be feared. Racism. Sexism. Misogeny. Violence. Objectification. Human beings boxed in by fear of “the other” and the realities of not being able to walk in the world in safety. After a bit, I walked back to the elevator and made my way to my office. I never saw the man again. Did he shudder in the elevator thinking a white women was going to call the police because she was threatened by the color of his skin? I will never know all that was really happening that morning. But, I do know oppressed identities met and brought with them a legacy of fear and pain. P.S. The man who previously carjacked me at gunpoint? He was white. You are currently browsing the White matters blog archives for May, 2014.